The Colts are eyeing some reinforcement at linebacker. Veteran NFL reporter Howard Balzer reports (via Twitter) that the team auditioned linebacker Korey Toomer today. The team has suddenly been hit with injuries to their linebacker corps. Starter Anthony Walker Jr. missed last week with a shoulder injury, while reserve linebacker Skai Moore was placed on injured reserve earlier this month. Plus, the Colts have seen lackluster production from the position outside of Walker and Darius Leonard, although it’s too late in the season to make any significant lineup changes. Toomer could at least provide Indy with a veteran rotation piece. The 30-year-old was plenty productive last season with the Chargers, compiling 48 tackles, one sack, three passes defended, one pick, and two forced fumbles. Toomer signed a one-year deal with the 49ers this offseason, but he didn’t make it to the regular season with his new team. He ended up catching on with the Packers, and he compiled three tackles in seven games with Green Bay this season. The team ended up releasing the veteran in late November. The Colts have been eyeing some defensive reinforcement for several weeks, as they recently auditioned a pair of linebackers in Chris Odom and Greer Martini. The Colts are recently worked out defensive end Marcus Smith. 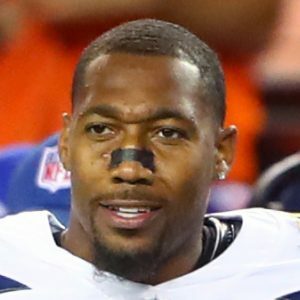 It didn’t take long for Korey Toomer to find a new job, as the veteran linebacker is signing with the Packers according to Ian Rapoport of NFL Network (Twitter link). Toomer signed a one-year deal with the 49ers back in April, but was released Saturday as part of final cuts. Toomer has earned journeyman status over the past couple years, spending time with the Seahawks, Cowboys, Rams, Raiders, Chargers, and 49ers across his relatively short career. Toomer, a Super Bowl XLVIII champion with the Seahawks, was drafted by Seattle in the fifth round back in 2012. Toomer will provide depth and experience to a Packers linebacking corp that’s been plagued by injuries this offseason. Starter Jake Ryan was lost for the season with a torn ACL, and projected starter Oren Burks will miss at least a couple weeks with a shoulder injury. 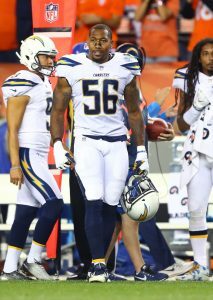 Toomer played mostly on special teams earlier in his career, but began to make a big impact on defense with the Chargers. He started eight games each of the past two seasons, and was serviceable. For his career, the former Idaho Vandal has 130 tackles, two sacks, and five passes defended. In a corresponding roster move, the team placed wide receiver Jake Kumerow on injured reserve. The 49ers have signed linebacker Korey Toomer, as Field Yates of ESPN.com tweets. Toomer met with the Niners on Tuesday and agreed to a deal soon after. Toomer hooked on with the Chargers early in the 2016 season and he worked his way into the team’s rotation. He earned positive marks from Pro Football Rumors for his performance as a part-timer. It sound be noted that he has only a limited sample to offer from last season as he appeared in just 266 snaps. Niners defensive coordinator Robert Saleh was a defensive quality control coach in Seattle when the Seahawks drafted Toomer six years ago, so he could be in line for a decent role in SF. Toomer, 29, had a pick six against the Bills Week 11 of the 2017 season and had a career-high 71 tackles in ’16. Toomer will help to fortify a linebacker group fraught with question marks. Malcolm Smith is coming off an injury that wiped out his first season with the Niners and Reuben Foster is under investigation for an alleged domestic violence incident. An eight-game starter for the Chargers in each of the past two seasons, Korey Toomer will visit another California team that’s expressing interest. The veteran linebacker will visit the 49ers on Wednesday, Ian Rapoport of NFL.com tweets. A 2012 fifth-round pick, Toomer previously met with the Colts during this free agency period. Eric Williams of ESPN.com points out (via Twitter) current San Francisco DC Robert Saleh was a defensive quality control coach in Seattle when the Seahawks drafted Toomer six years ago. San Francisco has some issues at linebacker presently. Under ideal circumstances, Reuben Foster and Malcolm Smith would be starting linebackers for the 49ers. But Smith is coming off an injury that nullified his first season with the Niners, and Foster is under investigation related to an alleged domestic violence incident. The Bolts signed Toomer off the Raiders’ practice squad early in the 2016 season, and he became a part-time performer for the team. Pro Football Focus graded his two Chargers seasons as upper-echelon work. However, he only played 266 snaps last season despite suiting up for 15 games. Toomer, now 29, returned an interception for a score last season and made a career-high 71 tackles in 2016.